A terror suspect allegedly linked to the Ujain train blast opened fire at security forces in Thakurganj area of Lucknow, on Tuesday afternoon. 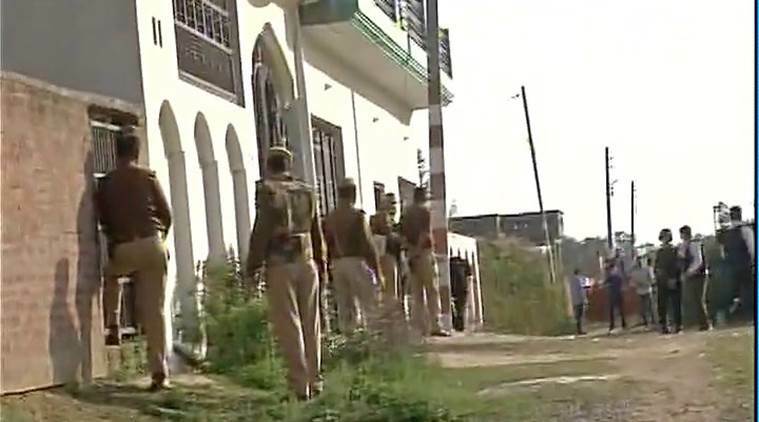 The Uttar Pradesh Anti Terror Squad is currently engaged in an operation in Thakurganj area of Lucknow. The area is among the densely populated areas of Lucknow. Security officials had to fire tear-gas shells into the house where the suspect is holed up. The suspect has been identified as Saifullah but there was no official confirmation of the same. Police said they were suspecting just one person to be holed up inside the house, but they have not ruled out the possibility of there being more individuals. Hope echarchans from lucknow are safe. Politicians can orchestrate anything for sympathy in a muslim cultural city. yes, they can give guns to the fugitive and make him participate in train bombing and shooting at the security forces. the news say that the siege is now over and the "suspected" militant has been killed. Can Akhilesh be charged for fake encounter of misguided innocent peaceful youth? Will Sonia shed some tears again? election, possibility of a failure, sudden bomb blast, isis link, truth stranger than fiction. Did this shush up media's possible conspiracy theories? As per the Hindu .. it was not a terrorist, just a regular man. Hindu is a revered paper among southies. Dont know how it became like that after carrying its non-stop jaundiced views/spins. Southies are timid and super gullible .. enough said. Can Akhilesh be charged for fake encounter of misguided innocent peaceful youth? Should be. If it was ISIS, their pittu will not use a sutli bomb. It carries less fan fare, contains article and news and very qualified opinion. Land locked states of North India versus sea side states with ports.